JNN 23 Feb 2014 TEHRAN – Iran and Pakistan has set up a joint border committee to counter cross-border terrorism and specifically take measures to secure the release of the five Iranian border guards who were recently abducted near the Pakistani border. An Iranian delegation is in Pakistan to negotiate the release of five Iranian border guards abducted by Jaish-ul-Adl terrorist group, an Iranian official says. The decision was made during a meeting of the members of Iran-Pakistan Joint Border Commission in Quetta on Friday, including head of the Pakistani delegation Baber Yaqoub Mohammad and the Iranian deputy provincial governor of Sistan and Baluchestan, Ali Asghar Shekari, the Pakistani Dawn website reported. According to the reports, Ali Abdollahi, Iranian deputy interior minister for security and law enforcement affairs, said on Friday that the delegation headed to Pakistan’s Balochistan Province on February 19. Abdollahi declined to provide more details, adding that further information will be released in due time. The Iranian guards were abducted in the southeastern province of Sistan and Baluchestan on February 6 and were transferred to Pakistan. Later, the so-called Jaish-ul-Adl terrorist group posted photos of the five men on twitter and claimed responsibility for the abduction. A video first broadcast by Saudi Arabia’s al-Arabiya TV channel and then posted online on February 16 showed the five abducted Iranian guards in good health. 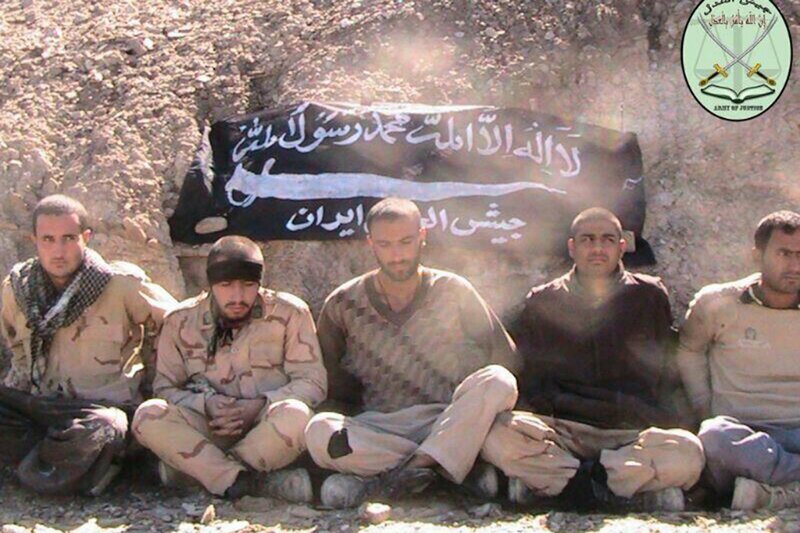 The five Iranian guards were kidnapped by Jaish-ul-Adl terrorists in Jakigour region in Iran’s southeastern province of Sistan and Baluchestan on February 6 and taken to the Pakistani territory. The Islamic Republic has asked Interpol to prosecute those behind the abduction. Yaqub, who is the chief secretary of Balochistan, said Islamabad shares Iran’s concern over the kidnapping of its border guards and underlined Pakistan’s resolve to interact with Iran over the issue. “We will immediately take action on any information about the presence of the guards in our territory,” he said. The commission has formed the committee, which is comprised of officials from both sides, to review any incident of border violation and provide a mechanism to monitor elements creating trouble across the border. The committee will present its recommendation to the commission. According to the report, the commission also discussed a number of other issues including the promotion of cross-border trade, the renovation of the border wall called Iran-Pakistan Barrier, joint border patrols, opening new gates at the border, electricity supply to border posts, extradition of prisoners and issuance of passports. Meanwhile, Iranian and international activists have launched a campaign known as “Free Iranian Soldiers” on social media websites, calling for the release of five Iranian border guards. On February 15, Iranian Interior Minister Abdolreza Rahmani Fazli held Pakistan accountable for the kidnapping. President Hassan Rouhani has called for an investigation into the incident, tasking the Foreign Ministry with taking the necessary measures to implement a border security agreement with Pakistan. This entry was posted in Asia Pacific, Iran News, Pakistan News and tagged Iran's Border Gaurds, Iran-Pakistan Joint Border Commission, Iranian border guards, Jaish Al Adl, pakistan, Terrorist. Bookmark the permalink.